Are you down for learning how to stay warm and stylish this winter? Ever since Fjällräven was founded just over 50 years ago, they have had one strong driving force: to develop products that make it easier for people to enjoy the countryside. Part of this commitment is dedication to helping explorers of the outdoors stay warm in the winter. Do you have a good quality down jacket at home? If you live in a region that gets cold, you really should. ﻿﻿﻿As far back as 1950 Åke Nordin developed a backpack frame that sowed the seed which would go on to become the Fjällräven company. And ever since its Örnsköldsvik beginnings in 1960, Fjällräven has continued to produce innovative, functional products which are appreciated by generations of outdoor enthusiasts across the world – and which have also received a number of distinguished awards over the years. Fjällräven has been working with down insulation for more than 40 years and they exclusively use down of the highest quality. When experienced adventurers told their founder, Åke Nordin, that their warm garments did not keep them warm enough, he made a decision. No one should ever again have to freeze while out in nature. This decision resulted in the launch in 1974 of the now classic Expedition Down Jacket, and since then their down jackets have become greatly appreciated across the world. Fjällräven’s products are currently sold in around 20 countries. Over time, a few have become more or less classics – the Greenland Jacket, Vidda Trousers, Kånken Backpack and Expedition Down Jacket. They work continuously on developing materials, solutions and designs for new favorites – clothing, tents, sleeping bags and other outdoor equipment that can be used, loved and worn over many years of adventures out in the fresh air. How do they know that they will keep you warm? High down quality and smart constructions are just two of the reasons why this companies down jackets are so popular. One of the technical terms you may come into contact with is CUIN (sometimes also called fill power). This is a measurement that indicates how fluffy the down is. You may also hear the terms loft and insulation, which refer to the thickness of the layer of air created by the padding and, respectively, the warming properties of the insulation. The thicker the loft, the better the insulation. The loft is determined by the blend of down and feathers. 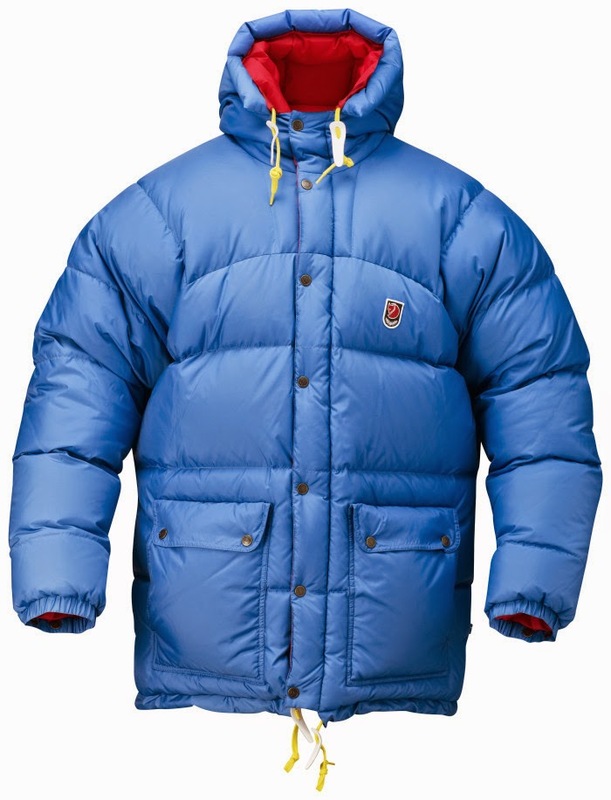 For maximum insulation, you should choose a down jacket with a high CUIN and a good mix of down and feathers. The Fjällräven down jackets are not popular and warm just because of their high-class down and high down ratio; they have large, roomy hoods with a drawstring opening that leaves only the eyes visible when pulled tight in really cold weather. Many also have detachable synthetic fur trim for protection from the snow. Protective flaps at the zipper stop drafts and push buttons add extra security (you certainly do not want to have a broken zipper when you are in severe cold situations). The flaps also offer flexibility, by closing the jacket using only the buttons, moisture and heat can be released. Most of their jackets often add extra hand-warming pockets behind the regular pockets and the shoulders are filled with extra padding to ensure that they maintain their warmth and shape even when carrying a backpack or heavy items in the pockets. If you want to know Apparel Search’s opinion, it is that you should head to the store to buy a Fjällräven down coat as soon as possible. They are stylish and apparently nice and toasty. We hope that learn about this apparel company and the information that they offer regarding down and feather has been of help to you. If you have comments about this subject, you are welcome to add your thoughts in the comment area below.